After contemplating the idea of becoming an entrepreneur, making pilgrimages to seasonal franchise shows, and mulling over piles of glossy brochures from franchisors, one is ready to take the plunge and become a fast-food restaurant franchisee. Regardless of whether the business will serve pizzas, burgers, fried chicken, or wraps, a food-service franchisee will face many of the same challenges as other restaurateurs with real estate being at the top of this list. One will probably look at a number of possible locations for setting up their new business. Some of the largest restaurant franchisors have their own in-house real estate departments that can handle all site selections and lease negotiations, but in most cases, new franchisees will need to undertake these tasks themselves. Therefore, it is important to be well-prepared when one is discussing their needs with leasing agents or landlords. The franchisor will likely help the franchisee narrow down a preliminary list of sites that will meet one’s needs; taking into consideration traffic counts and brand exposure. This is beneficial, as even when one is handling site selection themselves, the franchisor’s approval will be required. Once a franchisee has narrowed down their list to a few places it will be critical to see if the space can accommodate the requirements of a fast-food restaurant in a cost-effective manner. This is not an easy task for those who are not experienced. This author has seen national chains get caught with very expensive site modifications after they signed a lease. To do so will require professional consultants—from engineers or architects to a site consultant or general contractor that has experience in food service. Drawings will need to be produced and there are numerous codes that must be incorporated into the design which will include architectural, mechanical, and electrical plans. One should not skimp on this phase; should anything be missed, it could cost twice as much to complete during the process. The franchisee should insist on a site walkthrough with professional advisors before firming up the lease. In the case of a renovation project, i.e. taking over a space that was food-service oriented, one should not make the assumption that they will be able to just walk in, fire up the grill, and start flipping burgers. Franchisees should insist on a site walkthrough with professional advisors such as an architect, general contractor, or commercial building envelope consultant before firming up the lease. 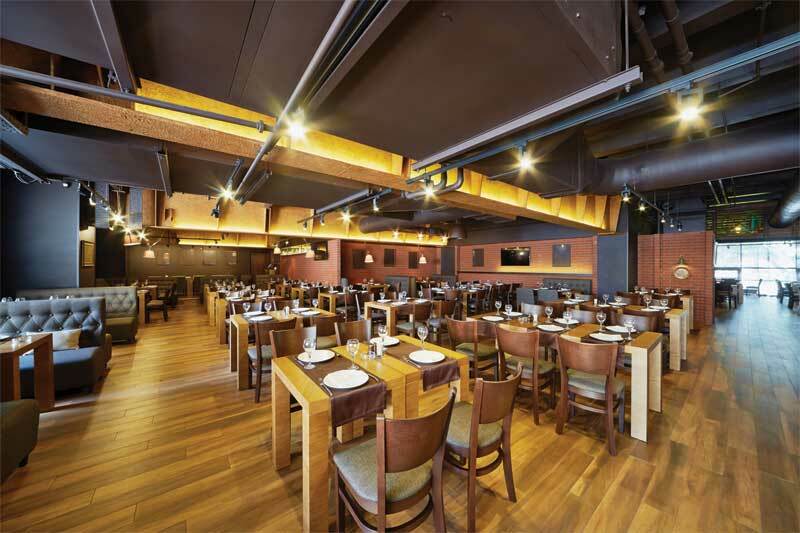 Even when leasing a newly built space, one cannot simply assume everything will be in place to meet the unique needs of their restaurant. 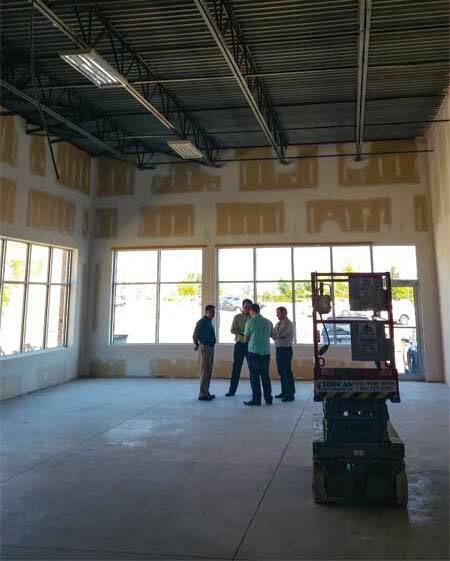 The franchisee should be sure to check ceiling heights, support column locations, hall widths, and other facets of the design. Even gas availability, as some cooking facilities will need more than a million British thermal units (Btus) and a gas line upgrade can hit one’s chequebook pretty hard. It is easy to take important issues for granted. This author remembers how one restaurant franchisor negotiated an amazing lease rate on behalf of a franchisee for an attractive space, but with one condition from the landlord: the space was to be taken ‘as is.’ Everything seemed fantastic at first, but upon taking a closer look, beyond the drawings produced by the franchisor’s own design consultant, who must not have involved a thorough site inspection, it became clear there was no gas being run to the leased space. Imagine the franchisee’s surprise, given they required gas for the fryers and other cooking equipment. One might wonder how the franchisor would set up a restaurant lease with a space ill-equipped for a restaurant, but it was simply because no one had bothered to ask about gas lines and, as a result, the space was accepted ‘as is.’ Consequently, the franchisee had to spend an additional $10,000 to run a gas line into the leased unit. The moral of this story is the landlord just wants to lease the space; therefore, the onus is on the franchisee to know what they need and, if it is not there, they must ask for it or factor the costs into their business plan. It is therefore essential to know one’s specific needs, including equipment requirements, before signing any lease for a location. In regards to services like gas, for example, a franchisee should have their equipment cut sheets on hand as these will show all the requirements for operation—from gas to electrical. The franchisee should enlist a mechanical engineer to determine what to look for or ask for from the landlord.